Choosing gift ideas for a Virgo man needs to be undertaken carefully. A natural trait of the Virgo man is appreciating the gesture rather than the size of an expensive gift. He will draw more pleasure from an item that has been chosen with him specifically in mind. A small gift that has been chosen to suit his practical side is far better than one costing bundles with no thought. Virgo men love receiving gifts. What’s more, Virgo guys have high standards for themselves and others. Therefore, picking out high quality and stylish gift for a Virgo man is paramount if you want to impress him. When choosing a gift you obviously need to take into consideration the occasion. This can either be a birthday or possibly an anniversary of a special occasion. A Virgo guy has high standards for himself in honesty and reliability and will be looking for similar traits in any future partner. If you are not yet dating your Virgo crush, don’t think that you can get him to ask you out by just giving him a gift. If you do he could feel as though he is being chased and may pull away. A Virgo man is generally reserved and if you are trying to get his attention you may find the link below of interest. There are lots of gift ideas listed below but don’t shy away from the little thoughtful ideas that remind him how caring you are. Maybe you could get him a bottle of his favorite wine? The one that you remembered him ordering on your first date? Or maybe a calendar of bird pictures that will remind him of the ducks you saw on your walk by the river hand in hand. You don’t need to blow the bank account to impress your Virgo crush. However, you do not have to wait for a special occasion to surprise your Virgo man with a gift. To be able to buy the perfect gift for your Virgo crush, you need to understand his personality, needs, and interests. For instance, Virgo men are practical, intelligent, adventurous, and they love to fix things. If you want a lasting relationship with a Virgo guy you need to understand his complex characteristics and the way he thinks. You may find it helpful to read a review I wrote recently which explains all you need to know about how a Virgo guy reacts in situations. Have a look here to discover how to get him to commit to you. 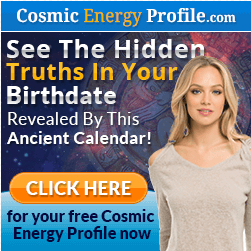 With that in mind, this article will give you insights into top gift ideas for a man born under the sixth sign of the zodiac. A Virgo guy is very practical in his thinking and his deeds. His intellectual side comes to the fore if he is handling several problems at once. His mantra is ‘A place for everything and everything in its place’, so gifts that help him organize his life are always appreciated. Because a Virgo guy is generally very conscientious with his work, things like desk tidy’s are great. More expensive are stylish file organizers or a quality leather briefcase are idea’s that would definitely float his boat. Virgo men are also conscious about taking care of their appearance. So, if you are looking for a gift idea for your Virgo male, you can opt to buy him an item of clothing. However, it is important to find a style that suits him. For instance, Virgo men want to look professional in and out of the office. What’s more, they are generally on the reserved side and would not like to stand out in a crowd. Therefore, if buying him jeans, pants, or a shirt, it is important to ensure that they are not too tight. Also, steer clear of bright or loud colors. Smart and practical may seem boring to a lot of people but the Virgo guy will be happy. He definitely has a mind of his own and would feel hurt if he felt he had to wear something just to please the person who gave it to him. On the other hand, you can buy polos and shirts for your Virgo man. These can be in stripes or solid colors so that he can remain trendy and match without putting in too much effort. Virgo men are analytical, eloquent, pragmatic and smart. Virgo men like to keep themselves informed and you will often find most of them having at least one book on the go. In addition, a Virgo man wants to know stuff that other people consider irrelevant. So, if you want to win the heart of a Virgo man, you can buy him a book on topics he likes in the category of hobbies. Alternatively, how to books or self-help books would be top of the list of a typical Virgo guy. So, depending on his interests and needs, you can gift your Virgo man a book that will help him perform certain tasks with ease. These can be books on illustration, carpentry, technology, or books on gadgets or new inventions. You can also buy for him self-help books that can enable him to cope with his perfectionism, for instance. A biography on a major achievement or one about a gifted and renowned leader will also do the trick. Virgo man is hardworking, neat and organized. So, if you are searching for a gift idea for a Virgo boyfriend, you can buy him one that will make him more productive while in the office or at home. This can be a gift such as a laptop, an electronic planner, or a desk lamp for his home office. A good household gift for a Virgo man would be a labor-saving device or the latest coffee percolator. These types of gifts blend well with how he sees himself as a modern forward thinking male. The idea is to think of a gift that is quirky and fits his personality and will not only solve a problem but also make his life at home or in the office easier. Virgo men like taking care of their health and well-being. Generally, they are not fitness fanatics but they will be picky about what they eat and will try to keep in shape. So, health-conscious gifts are always acceptable for your Virgo guy. With that in mind, the best health and fitness gifts for a Virgo man may be a dinner date at a vegan restaurant. It may never have crossed his mind to try one but will appreciate that you are considering his health. A vegan cookbook, a vegan snack box or healthy nutritional supplements as an alternative to a full meal. Don’t try to push your preferences on him, but he will appreciate that you are thinking of his well being. For fitness, if he hasn’t already, you can get a trial gym membership. I say a trial because a Virgo guy hates to be pushed. With a trial, he can make the decision on whether to continue or not. If he enjoys it and signs up for full membership you can perhaps top it up with trainers or a kit bag for his apparel. Another health-conscious gift for your Virgo crush would be to subscribe him to a health magazine for 6 months subscription. 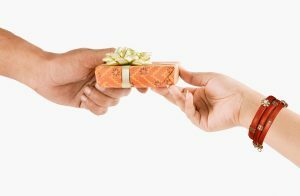 Overall, if you want to get a gift for your health-conscious Virgo man, there are many diet-related or fitness related gifts that you can get him. Assuming you know your man, the secret is to get him a gift that will support his wellness activities. Bear in mind though, that he likes to be the one who makes the decisions. He can sometimes feel offended if things are done in a way that he doesn’t understand. 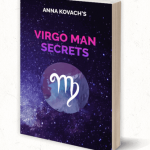 If you feel you need to know more about the characteristics of a Virgo guy, please read my review of Virgo Man Secrets. Virgo men love receiving gifts. More so if he can see that you have put some thought into it, rather than just grabbing something off the shelf. The secret of having a loving relationship with your Virgo crush is understanding his characteristics. I hope the tips in the above article have helped in your search to find the perfect balance with your Virgo guy. There are lots more articles covering different situations relating to a Virgo man. Please check it out here https://virgomen.net. I wish you luck with finding true love.